A “quiet book” page I made as part of an alphabet book for a friend’s little boy they recently adopted. I chose the letter B and designed accordingly. 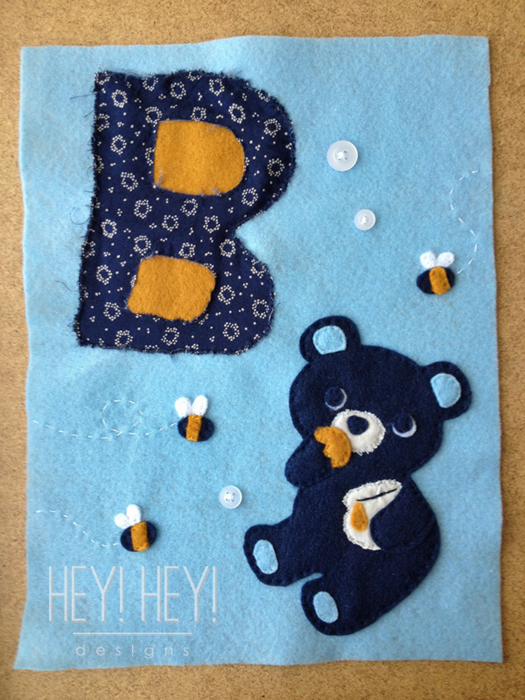 Ok, so I botched the “B” itself pretty good for multiple reasons, but I like how the blue bear, button bubbles, and busy bees came out! Practice makes perfect. If I get the chance to make another one I’m sure I will get it next time, haha.